Oran Young is a research professor at the Marine Science Institute and professor emeritus and co-director of the Program on Governance for Sustainable Development at the Bren School of Environmental Science & Management at the University of California (Santa Barbara). His research focuses on theories of environmental governance with applications to issues relating to climate change, marine systems, and the polar regions. He also does comparative research on environmental governance in China and the United States. Dr. Young served for six years as founding chair of the Committee on the Human Dimensions of Global Change of the US National Academy of Sciences. He chaired the Scientific Steering Committee of the international project on the Institutional Dimensions of Global Environmental Change (IDGEC). 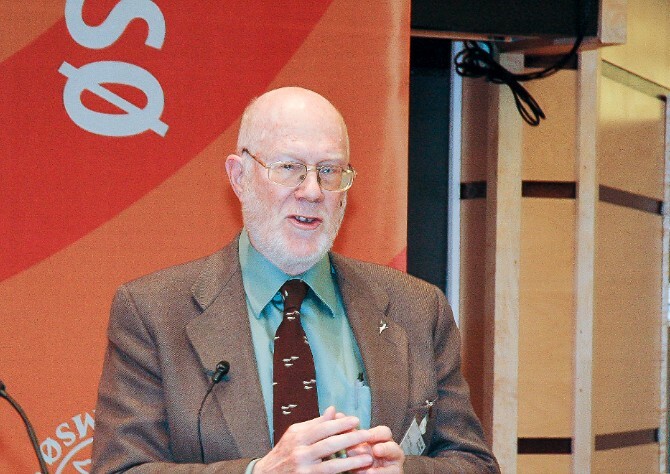 He was a founding co-chair of the Global Carbon Project and from 2005 to 2010 chaired the Scientific Committee of the International Human Dimensions Programme on Global Environmental Change. An expert on Arctic issues, Dr. Young chaired the Steering Committee of the Arctic Governance Project and is the science advisor to the North Pacific Arctic Conferences. Past service in this realm includes co-chair of the Working Group on Arctic International Relations, member of the US Polar Research Board, founding board member of the Arctic Research Consortium of the United States, vice-president of the International Arctic Science Committee, chair of the Board of Governors of the University of the Arctic, consultant to the Standing Committee of Parliamentarians of the Arctic Region, and co-chair of the 2004 Arctic Human Development Report. He is the author of more than 20 books. His recent books include Institutional Dynamics: Emergent Patterns in International Environmental Governance (2010) and On Environmental Governance: Sustainability, Efficiency, and Equity (2013). He is currently working on a book tentatively entitled Sustainability in the Anthropocene: Governing Complex Systems.